Elegant and refined, Isabella is a beautifully shaping and fully supportive corset. 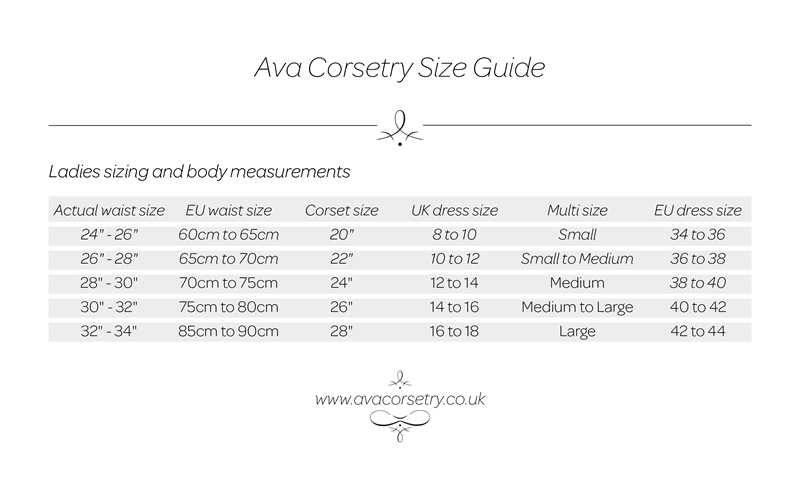 The gorgeous neckline will support & flatter the bust whilst the lower part of the corset flattens & smooths the tummy area. 34cm in length at front, Isabella is made from top quality corsetry coutil & Japanese duchess satin. Superb German steel boning and busk feature internally with a full cotton waist tape for extra support. Two piece silver eyelets finish off this lovely corset. Best suited for cup size C to F.
For the ultimate in shape and support under garments, or as an evening look bodice with gorgeous skirt. A drop necklace or opera gloves will finish the look.